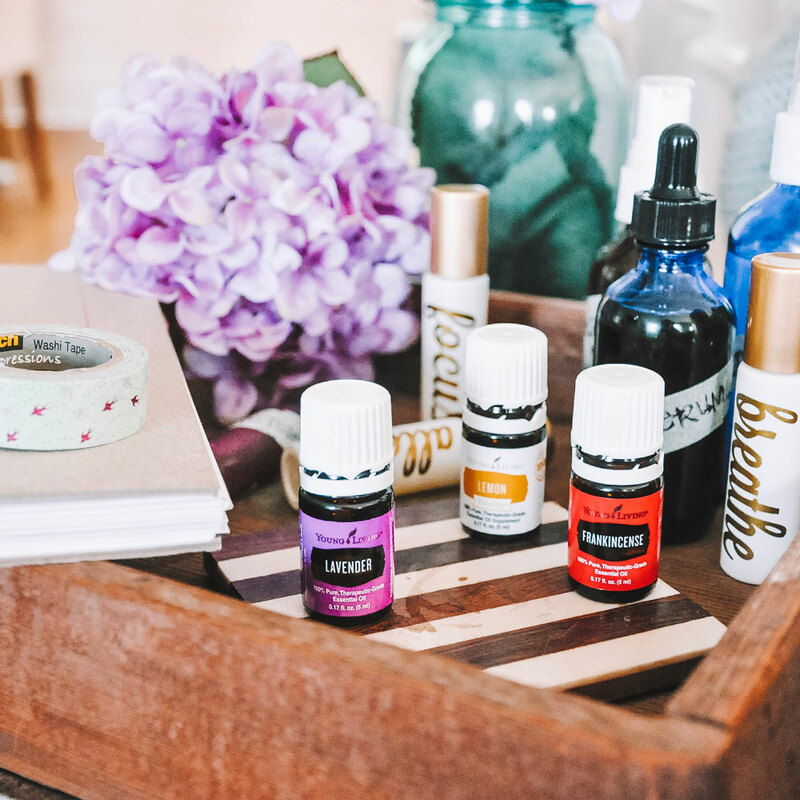 Note: all of these come in the Young Living starter kit! Thieves: probably one of the most popular oils and for good reason! This stuff is MAGIC. 1) it smells like the holidays 2) it works wonders on canker sores - just a drop straight on the sore and it takes the pain away and heals it so quickly 3) the cleaner solution is amaaaaazing! I now use it in my bathroom, kitchen, etc. and am amazed at how well it get grime off of my counters. Lastly, I heard that spraying your pumpkins with it keeps the bugs and squirrels away and so far, so good! Frankincense: this oil is the reason I ordered a starter kit! It is supposed to help lighten/brighten skin so I've been using it in a homemade toner and The Dandy Liar's glo serum to help with some melasma. I am loving the way my skin feels after using both. I'll share my toner recipe below. Additionally, the oil is supposed to help ground you emotionally so whenever I feel like I'm about to lose it (i.e. in airports when my flight gets delayed/cancelled) this really comes in handy. Panaway: maybe my most used oil! I legit carry it in my purse at all times. It is AMAZING for headaches or other body pains. I rub a drop on my temples + the back of my neck. The tingle feels great (kinda like icy hot) and instantly takes my mind off the pain while the oil goes to work. Digize: I have some digestive issues (and no gallbladder) so I also carry a "tummy tamer" roller in my purse to have on hand whenever stomach issues strike. It works great on bloating and also helped me through some post stomach bug nausea a month or so back. Some people even put a drop of it on their tongues but I'm not a huge fan of the taste so I prefer to just rub it straight on my abdomen. Lavender: who doesn't love lavender?!! It is THE most relaxing and calming smell in the world. I love to add it to lemonade, lattes or other drinks, I created a pillow/sheet spray and it smells amazing by itself or mixed with other oils in a diffuser. It also paired with Frankincense in both the toner and the glo serum. Just mix it all up, shake gently and apply! I use it in the morning and apply with a cotton pad (I use the glo serum mentioned above at night - it's a little too thick for me to wear under makeup). You can also use the toner as a face refresher spray if you use a glass bottle with a spray top! The lavender smells amazing and is really healing for your skin while the Frankincense helps to brighten any dark spots you may have. I think it's a winning combination and it leaves my skin feeling so clean and fresh! 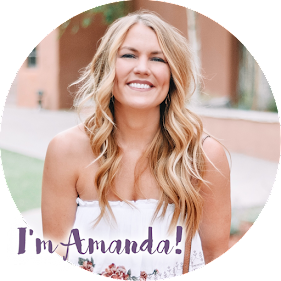 Have you ever used essential oils? If so, what are your thoughts? How do you use them? If not, what has stopped you from giving them a try? I am seriously the least "hippy" or "natural" person EVER but I've really enjoyed using oils as of late. I'd love to hear your thoughts or questions in the comments. If you're interested in buying a starter kit, you can do so here. 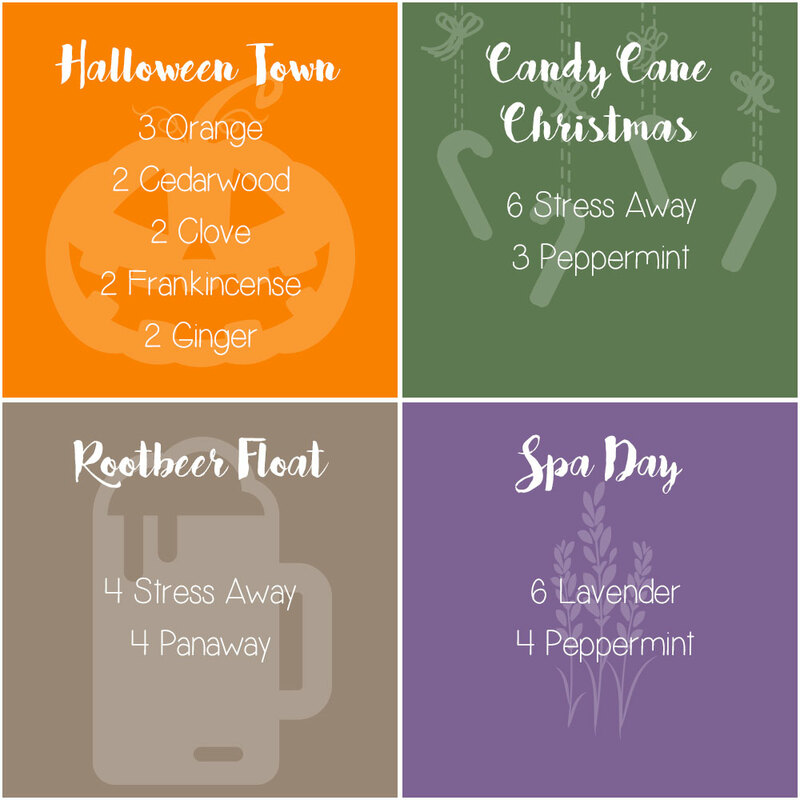 ALL of the oils I mentioned above (with the exception of the Halloween diffuser blend) are included! Feel free to email me or DM me on Instagram if you have questions. Thanks for reading and have the best weekend!